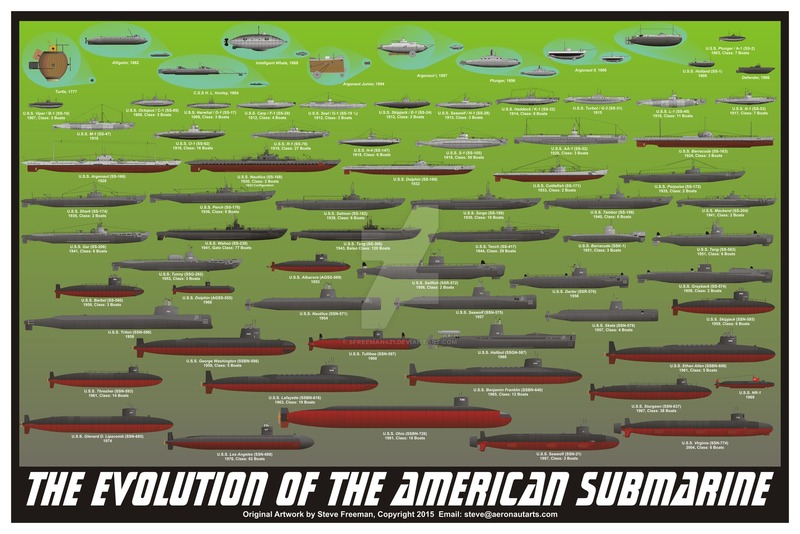 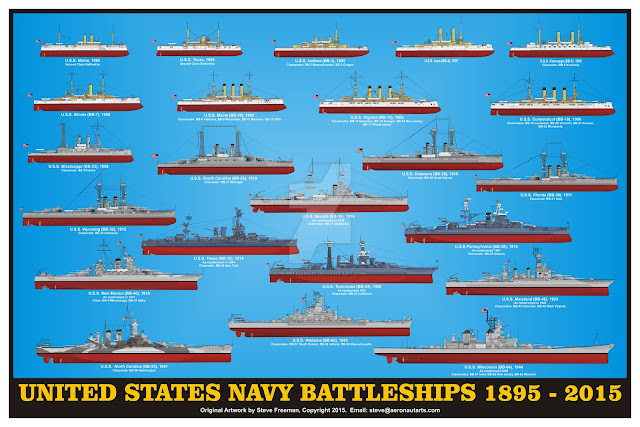 The following images (updated) are created by Steve Freeman (sfreeman421 for deviantart) and depict all the classes of battleships, destroyers, submarines as well as all the types of fighters that were/are in service with the United States Navy. 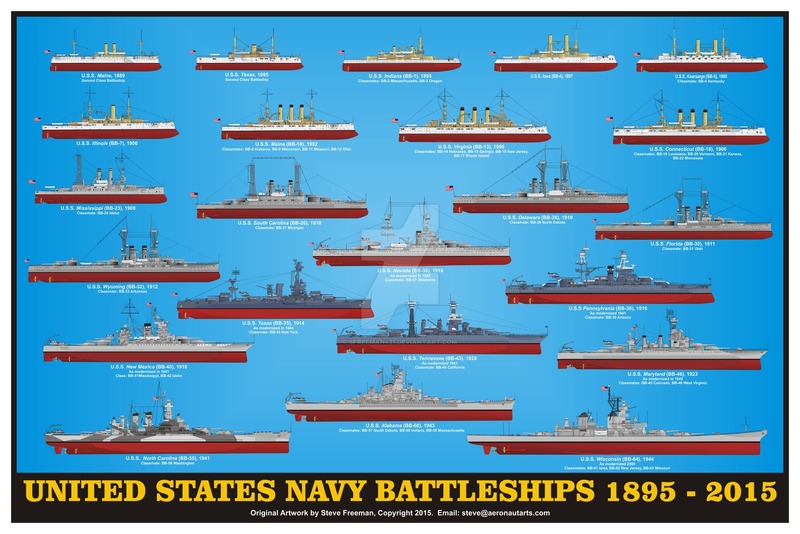 Enjoy this great artwork! 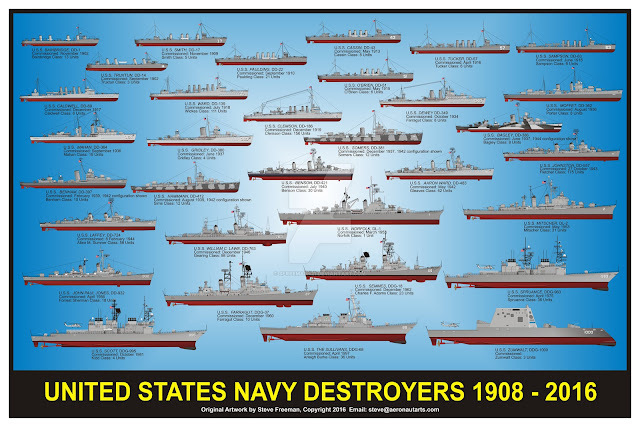 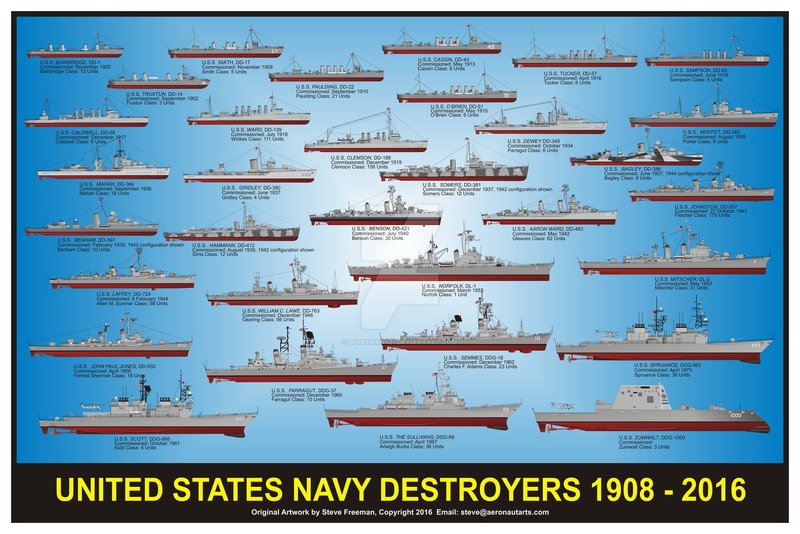 Is there a infographics of US Navy Cruiser Classes or Frigate Classes?